Our coaches and volunteers come together to help our communities adults learn to swim from the generous grants offered from the Swimming Saves Lives Foundation through the US Masters Swimming organization. We are in full swing with teaching 45 adults to swim this year. Our lessons started on March 4th and will continue through April. April is designated as Adult Learn to Swim Month. Our friends from North Carolina put on the funnest meet. The Coastal Carolina Masters Invitational on March 23 in Bolivia, NC did not disappoint. 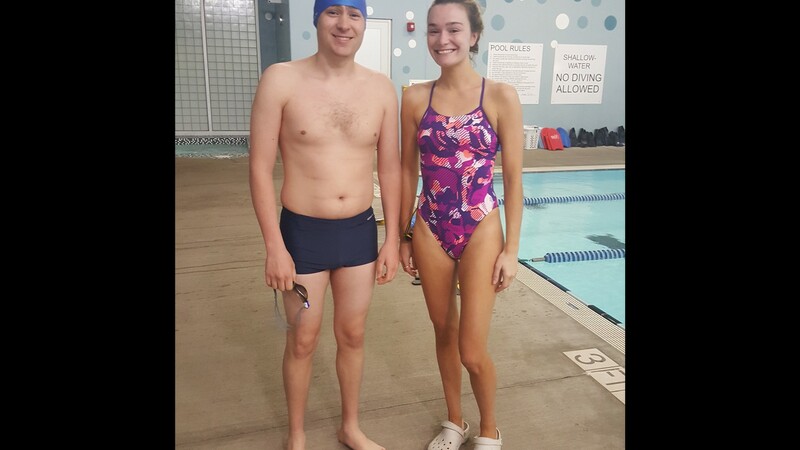 It was really fun for seasoned swimmers and newbies alike with events like the 500, 200’s, 100’s, and 50’s, and of course 25’s. The relays were 25’s with swimmers from other teams mixed together, and the infamous floatie relay was a blast!! Our team had so much fun, we all plan to go back next year. Our next meet planning meeting is April 27th. We meet before Saturday workout to prepare for the Dixie Zone LCM Championships in June. It’s a great feeling of giving back to our fellow swimmers around the country.